260 pages | 21 B/W Illus. 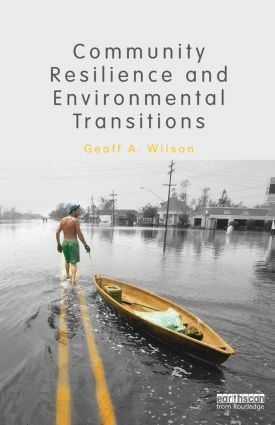 This book discusses the resilience of communities in both developed and developing world contexts. It investigates the notion of ‘resilience’ and the challenges faced by local communities around the world to deal with disturbances (natural hazards or human-made) that may threaten their long-term survival. Using global examples, specific emphasis is placed on how learning processes, traditions, policies and politics affect the resilience of communities and what constraints and opportunities exist for communities to raise resilience levels. Geoff Wilson has worked on research topics linked to human-environment interactions for the past 20 years, with extensive research conducted in various geographical settings including New Zealand, Australia, Germany, Switzerland and the UK. He has published several books, including 'Environmental Management: New Directions for the 21st Century' and is currently Editor of the journal 'Geography Compass: Environment and Society'.